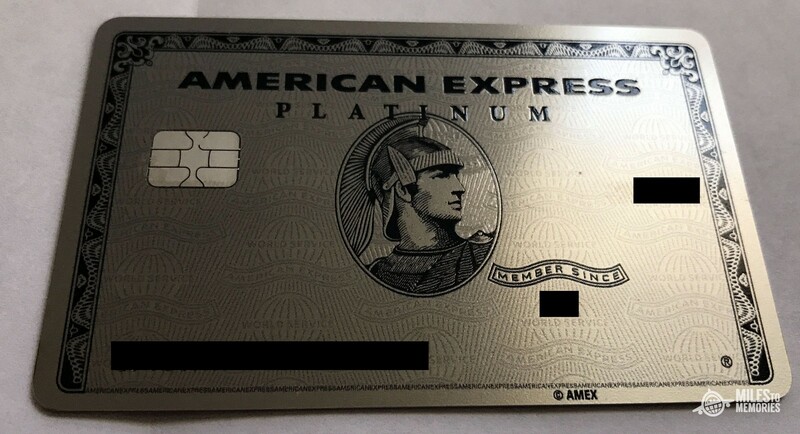 Last week, I posted American Express Platinum Card Benefits: Ultimate Guide Including Details of Each Perk and How to Maximize. So basically, I thought I knew everything there was to know.) Well, I recently called Amex Travel to find out about Platinum’s International Airline Program benefit and to see if it could save me some money. I got to chatting with the rep about the benefits of booking through Amex Travel in general and he told me something amazing. Something, I had never heard before. Are you ready for this? American Express has access to American Airlines private fares that have no change or cancellation fees. That’s right, if you book a private AA fare through Amex Travel, you can change the flight for no fee. Save money and earn a ton of AA miles? Sign me up! Of course, you may have to pay the price difference in fares if your new flight is more expensive. If your plans change and you need to reschedule your flight, you simply call Amex Travel and they will do it for you. Even better? You don’t have to call anymore! There’s a new chat function that allows you to speak with a live agent right in the chat box, details in this post: My New Favorite Travel and Airfare Perk From Amex Membership Rewards! Book Through Chat. If you need to cancel, you will receive a credit in Amex Travel that is good for up to one year from the original ticket date and can be used for any American Airlines flight. You’ll also earn 5x Membership Rewards on this booking with your Platinum card. Right now is a great time to apply for Platinum Cards as there are 100k Offers available on the personal version. Click here for instructions and how to see if you’re eligible for the 100k Membership Rewards Offer. Related: Citi AAdvantage Platinum Select World Elite Mastercard, A Better Signup Bonus is Here!!! There is no change fee from the airline, but if there is any difference in fare that would be charged. Changes and cancellations must be made before flight time or the ticket could have a $0 value. Almost every First, Business or Premium Economy Class ticket is an “up” fare. An “up” fare is a discounted First, Business, or Premium Economy ticket where, in the case of a last minute equipment/plane change, the airline could downgrade you to a lower cabin without compensation, normally you would be given the option to stay in the fare class but move to a different flight. Basically, you should look at it as an economy ticket with an instant upgrade. If you’re familiar with booking through the Amex Travel Portal, you may have asked yourself, why would I need to call and pay $39 when I can book “insider fares online.” Insider fares do not say anything about change fees, so presumably, the regular rules still apply. Also, if you book an insider fare you must pay the complete amount with points in order to be eligible for the discounted rate, whereas when Amex books it for you payment with points can be made partially. Last, you will receive full EQMs and EQD’s which is very important to you if you are trying to qualify for elite status. Based on the few data points I’ve come across, it seems the insider fares booked through the site are treated as special fares and earn less. Generally, flight times and price are the two biggest factors in choosing flights, this trick addresses both of these issues. Booking American Airlines through American Express travel can save you hundreds of dollars and take a lot of the stress out of booking travel. After the news that Alaska Airlines will change their generous policies, this should be welcome news for everyone. Additionally, American Express offers some of the best returns on airfare, so there really is no downside. 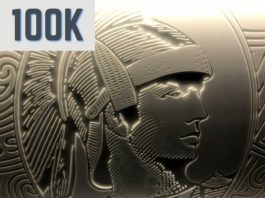 Previous articleAmex Hilton Cards’ Bonuses Increased! 300,000 Points & a Free Night up for Grabs!!! Bethany, this is a great program, but a few details that make the value a bit less than what’s advertised by Amex (via personal experience): 1) some amex agents don’t know what these fares are. i’ve had success asking for “fares with change fee waivers”, but sometimes that goes nowhere too, so best to just HUCA. 2) they aren’t necessarily any cheaper than AA’s public fares. 3) to book, one must pay a $39/person fee to Amex; when changing or cancelling the flight, this $39/person fee gets assessed AGAIN. 4) cancelling a flight (w/o immediately applying the funds to a new itin) results in a credit that must be used via Amex Travel (resulting in a 3rd $39/person charge!) for an AA-marketed ticket, and the flight date must be within 1 year of the purchase of the initial ticket. the credit is non-transferable (must be used by the passenger(s) for whom the original flight was booked, with no combining of values). the new ticket need not be a “private fare”, but if you book a public fare, your credit becomes non-refundable at that point. 5) AA may tell you to “call your travel agent” in the event of IRROPS or other trouble at the airport rather than help you directly, and may (although shouldn’t) give you a hard time about upgrading these fares. sames risks that result from any travel agency-booked ticket. 6) it becomes very hard to predict how you’ll earn AA EQDs and RDMs (the flight may post regularly, as an AA “special fare”, or as a regular fare with missing price data; all 3 of these earn differently). Thanks. So, if one has a Personal Amex Platinum and a Business Amex Platinum, you can double dip on the 5X and the 35% rebate? Yes, not in the same transaction, but you earn 5x the points on flights booked through Amex travel with both cards (so in theory, you would just need the Biz Plat card because you can only book these through Amex Travel) and then you get to take those 5x points and use them on a different ticket with the 35% rebate. Isn’t it awesome?? I stumbled on this mid-last year with the Biz Platinum. I did get hit with some sort of administrative re-ticketing charge or something (might be the booking fee you referred to) – but still, pretty awesome. It goes to show that AMEX really doesn’t do a good job of marketing themselves and their benefits. The “Insider Fares” bookable online are not the same as the Private Fares that can only be booked with an Agent, the insider fares do not have the same flexibility when it comes to changes and cancellations. Although, if you don’t need the flexibility or the eqms/eqds then I would certainly take an insider fare if it was cheaper. Does AMEX have this benefit for Delta, United and Lufthansa (and other airlines)? Thanks for the tip! It does have “private fares” for Delta as well but the no change/cancellation is not a part of Delta’s private fares. I have found the AMEX Travel website to be next to useless. After reading the article, I went back and checked it again for a simple trip between ORD and PHL. I want to leave mid-morning on a Tuesday and return mid-morning on Friday of the same week. The AMEX site gave me a choice on ONLY one set of flights, both VERY early in the AM. I am NOT a 6:30 AM flight person, so there were no flights available that fit my preferences. do you know if the basic economy tickets on AA would possibly be a Private Fare? I’m pretty sure they’re not included. The problem is that you need to select the freaking airline in order to get freaking 35% back in points, and you can only do it once a year. For me it’s a non usable benefit. CSR is much much better in this respect. I only fly business or first… and often business will end up being the same price as economy with the 35%. (Unless it’s a really short flight… so that doesn’t affect me much) but you don’t have a favorite airline that you’re flying most of the time? Thank you for the article Bethany. I have called AMEX Travel and they keep saying that they do not allow booking insider fares with partial points/cash. Is this a recent change or am I just doing this wrong/speaking with the wrong department? Thank you in advance for your reply. George, Sorry for the delay. I completely missed the notification for your comment. You are not able to book Insider Fares with cash- they have to be paid 100% in points. In contrast, the Private Fares discussed in this post can be paid with a combination. I have both the PRG and Platinum cards amd wanted to know if the airline credit fee had to use the same airline across both cards or could I choose a different airline for each card? Just be careful also if you make changes and it doesn’t get issued properly or changes on flights american can not touch this ticket at anytime. I am at the airport with one of these fares and the ticket was not issued correctly by ame and it have been the biggest pain to attempt to fix it.